"Four Score and Seven Years Ago...."
"...the handsomest building I ever saw." Wherever you go, no matter how far. You're always near a Hershey's Bar." Butler 7th Grade Trip to Gettysburg, Harrisburg, and Hershey, PA – March 23-24, 2019. Butler 7th Graders – It’s finally time for the Gettysburg field trip! Spend two days touring Pennsylvania’s most historic areas with your friends and teachers. A first-hand view of our government in action. A sweet introduction to a successful PA businesses. Find out what makes politics so exciting when we tour the Pennsylvania State Capitol Building. Sit in the House and Senate chambers; walk through the Pennsylvania Supreme Court. 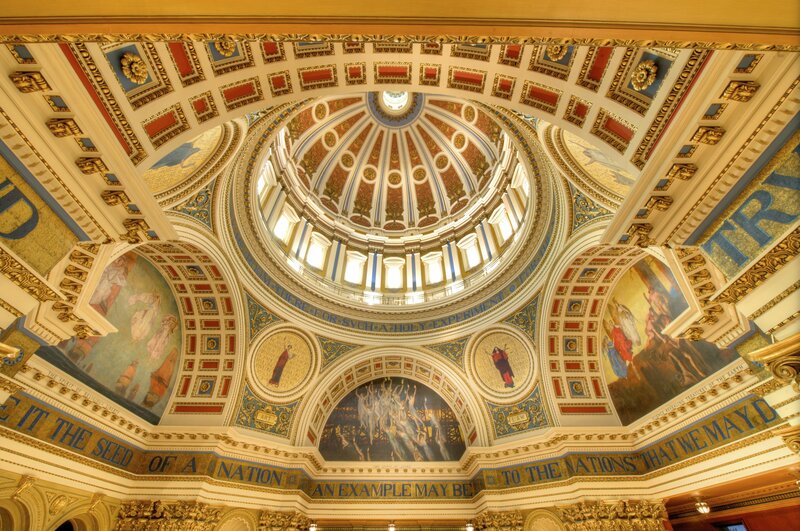 The beauty and art in this majestic building serve as the backdrop for a lesson in Pennsylvania history and state government. At the Civil War Museum, a group of highly skilled re-enactors host a variety of hands-on activities where kids get a better picture of life during the war. Areas to explore include musket firing, marching in formation, period dance, and treatment of wounded soldiers. Kids will love the museum scavenger hunt! 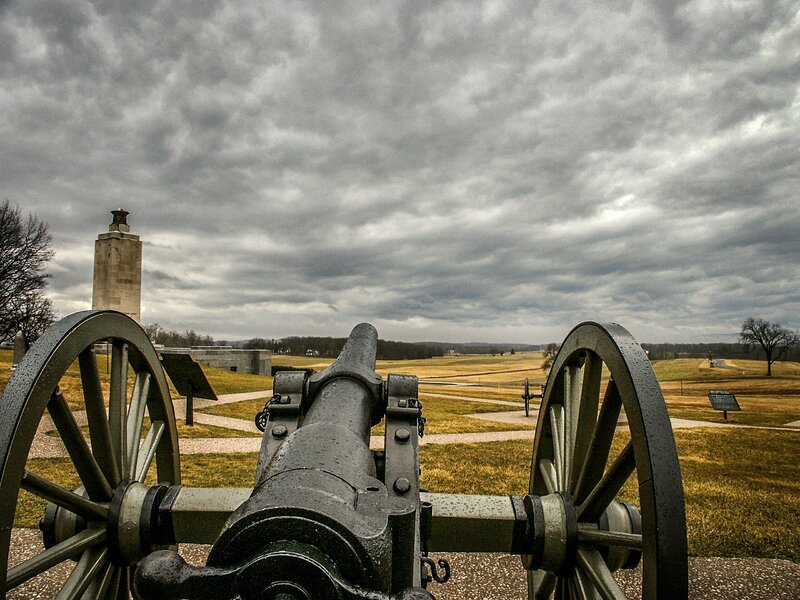 At Gettysburg National Park, the Visitor’s Center film (narrated by Morgan Freeman) gives a great introduction to the Civil War and the Battle of Gettysburg. The Cyclorama is a massive, 360-degree “Battle of Gettysburg” painting-in-the-round measuring 377 feet around and 42 feet high. The group stands in the center of this three-dimensional diorama as the events of the 3 day battle unfold in front of them, culminating with the fury of Pickett’s Charge. After this dramatic re-telling, students explore the museum exhibits at their own pace. A licensed battlefield tour guide will board each bus as we embark on a two hour tour of the town and battlefield of Gettysburg. History will come alive as the students get out and explore the infamous Peach Orchard, Devil’s Den, and the site of Pickett’s Charge. These guides are awesome with kids, bringing history to life with sensational stories and fun activities. 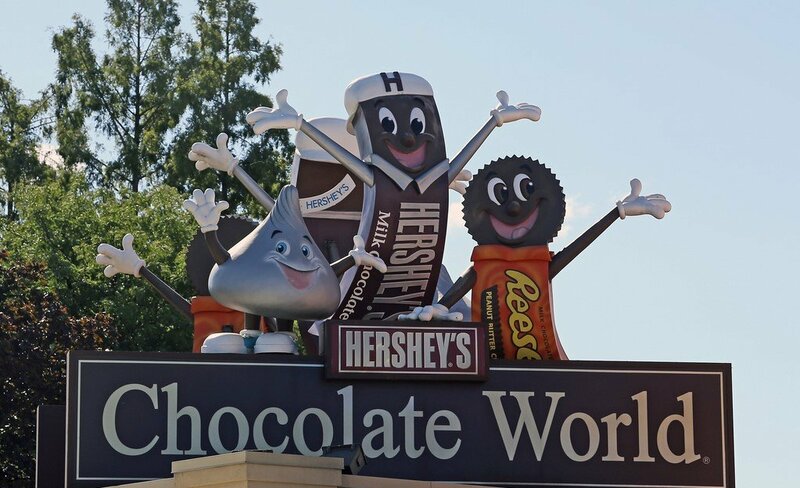 At Hershey’s Chocolate World, you’ll learn how chocolate is made on the chocolate world ride. Browse the gift shop for souvenirs to bring home to family and friends. We depart from the Intermediate High School early Saturday morning, traveling on comfy Coach USA buses. Students tour Harrisburg and Hershey throughout the day on Saturday. That evening, they’ll have a pizza party and lots of fun with swimming, foosball, basketball, racquetball, and more at a local YMCA. Sunday is spent at Gettysburg, touring and visiting museums. We’ll have a big lunch before heading home mid-afternoon Transportation, deluxe lodging, all meals and admission charges are included. The trip cost is $283/student. This includes Coach USA buses, deluxe hotel rooms, all meals, and admission charges. $50 deposit is required to to sign up by January 16. Additional payments can be made up until the final payment deadline of February 27. Payments can be made on this site by check or credit card. The $50 deposit is non-refundable. This deposit holds your spot on the bus. The balance of $233 is fully refundable if a student drops due to circumstances beyond his/her control (sickness family emergency, etc.) For a refund, you must notify Rebecca Green at logantoursinc@gmail.com or at 724-355-4997. If you simply do not show up for the trip without any notice, you are not eligible for a refund. A limited scholarship fund is available for families facing financial hardship. To apply, complete the Logan Tours Scholarship Request form by the January 16 deadline. Note that the form requires teacher recommendations, so don’t delay. Late requests will not be considered. Fundraiser participation is mandatory to receive financial aid. Participate in one, or both, of the fundraiser below to earn money towards your trip. Profit from the trip will be applied to the student’s account up to the amount of the trip, plus $30 for spending money. Any money raised over that amount will be donated to a tour scholarship fund. If a student drops out of the tour, any money raised through fundraising will be put in the tour scholarship fund. There are no refunds for any money raised through fund-raising activities. Students earn $2.75 for every hoagie sold. Start taking orders now. Collect payment from the customers when you take the orders. Have them make checks payable to you. Place and pay for your order by January 30. Buy candy bars on this site, in boxes of 36. You pay $36 for the box, but $18 goes toward the trip cost. We’ll notify you when your candy has been delivered to the school. Pick up your boxes from Mr. Casher in Room 200 or Mrs. Casher in the Principals office. Sell the candy bars for $1 each to earn your money back. We will be staying at the Country Inn & Suites, Gettysburg, which features comfortable, well appointed rooms equipped with cable TV and a blow dryer. 3-5 students will be assigned per room, and each room has either two queen beds or a king bed and a sleeper sofa. Students choose their own roommates in groups of 4 by completing the form on this site. Submit room selection form by February 6. Each student in the room must submit his/her own roommate request online. All requests must have the same names on them, or the room will not be formed. After February 6, the room list will be sent out via email to the parents. Once your room has been submitted, it should not change. If there is a good reason for a room change (for example, you want to add a student who needs a room), you may submit an email explaining this to logantoursinc@gmail.com. Your change request may be denied. We cannot change rooms for trivial reasons. What if I Can't Find 3 Roommates? Any students who don’t have roommates, or the right number of roommates, will be called to a meeting on Feb 13. There, students can talk with others and organize into rooms. Staff will help with this process. If a student is still unable to find a roommate, they can drop from the trip with no penalty – the deposit will be refunded. Roommate issues after this date will not receive a refund. If you find you have 2, 3, or 5 in a room – go ahead and submit the roomate form. Rooms of 3 or 5 may be accepted – if there is a problem we will notify you. Rooms of 2 will be called to the roomie meeting to combine with another room of 2, or add someone. Consider others’ feelings, and be open-minded and tolerant. Remember one purpose of field trips is to make new friends and learn to get along with different personalities. Always be kind. Bullying will not be tolerated. Any student found to be bullying another student over roommates will be removed from the trip. Parents – students are encouraged to do their best to figure this out themselves and take ownership. They can look at the list of students attending online and approach each other in lunch or class to organize a room. This is a great teaching/learning experience for building social skills and tolerance of others. Please talk to your child about helping others and being kind. But do NOT do this FOR them! Students – every trip we have dozens of students who do not have roommates, and we call them together to meet each other and make new friends. This is because it is impossible to organize everyone perfectly into rooms of 4. If you are struggling, maybe your regular friends simply aren’t going on the trip, or you got shut out of a room. Whatever the reason, you are not alone! Please talk to one of your teachers and they will help you sort it out. And look at the “roomie meeting” as a chance to make a new friend! Also, don’t be afraid to ask someone early if they want to share a room and find other roommates together. School discipline standards will be upheld during the trip, and participation may be denied based on a student’s disciplinary record. Each bus has at least four experienced chaperones. Many are district employees and have chaperoned this trip for several years. They know the students and are familiar with the places we will visit. All chaperones have required clearances. Students will be divided into smaller groups and assigned an experienced chaperon to supervise them throughout the weekend. They will stay with their groups and chaperon, especially in Times Square, Chinatown, and Central Park. Two tour coordinators travel with this group to alert the students and chaperones to any changes that need to be made, and to be in contact with the bus drivers at all times. Chaperones and tour coordinators utilize GroupMe for communications. Meeting times, places, etc. are all clearly explained in advance of each stop. When we are at the hotel, students will be in their rooms with their roommates only. A security guard will monitor the hallway all night. Hotel rooms do not have exterior exits. Mechanisms are put in place to ensure students do not visit one another’s rooms during the night. Hotel rooms have landline phones and students are told how to contact chaperones during the night. A nurse will accompany us on the trip. We only use experienced drivers who are familiar with Manhattan. We strictly follow bus company and federal laws pertaining to driver and passenger safety. We will be walking around outdoors – especially on Sunday in Gettysburg. Check the forecast and pack accordingly. Students are welcome to bring spending money and snacks for their hotel rooms. Our first meal is lunch on Saturday. Eat breakfast before you leave or bring something easy to eat on the bus. All medication must be given to the chaperones before boarding. Students and their luggage will pass through metal detectors before they board the buses. Please triple check that there are no items that would be prohibited in school, or you may not be able to attend. Students are expected to abide by all applicable school policies while on this trip. The District has the right to deny a student from participating based on disciplinary or other issues that arise before the trip (e.g., fighting). If you have any questions or concerns about this trip, please do not hesitate to contact the Trip Coordinator, Rebecca Green. Enter the name of the student for whom you are making a payment or donation. $50 deposit due at sign up.